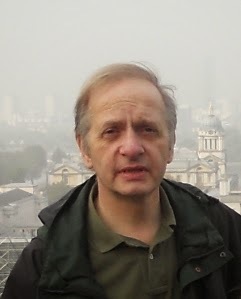 Mark Roman is a research scientist living in London and working near Cambridge. His writing is a spare-time activity, as is his involvement with an indie publisher called Grinning Bandit Books. Neither brings in much cash for his wife and two pre-teen children, so, for the time being, he plans to stick with the day-to-day business of making major scientific breakthroughs. It’s a sad story, really. 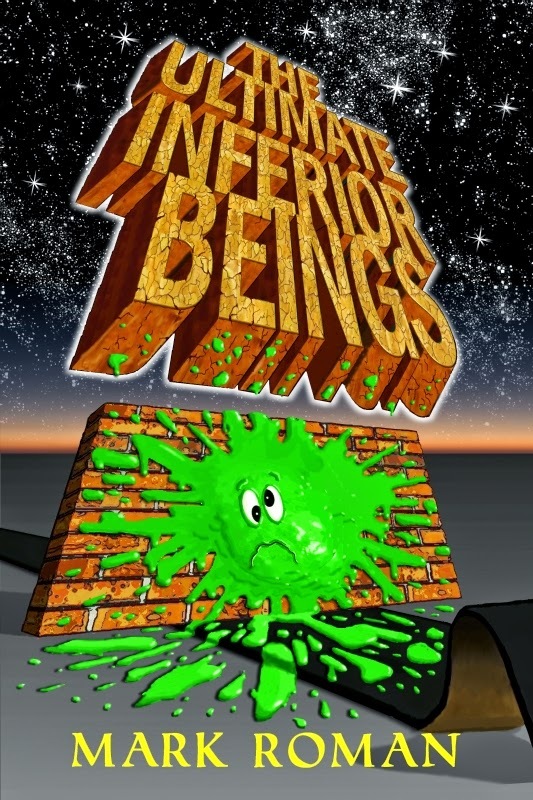 As a young lad I couldn’t find any humorous sci-fi books that I liked – this was in the days before Douglas Adams had been invented. So, with the help of a friend, I wrote my own. No sooner had I finished than along came the first radio series of the Hitchhiker’s Guide to the Galaxy, followed by the book, and the TV series, and the film, and the T-shirts, and the sequels, and the so on and so forth. That Adams chap could have saved me a lot of time and trouble if he’d just been a bit quicker! Anyway, I buried my modest effort at the bottom of a drawer, where it mouldered and yellowed for 37 years. It had a brief spell in the hands of an enthusiastic literary agent who tried to find it a publisher, but after a few months it was back in the drawer again. Then, a couple of years ago, I chanced upon it, dusted it off and thought I’d have another crack at international fame and fortune. Basically, I fell in with the wrong crowd. I was perfectly content having the book rejected by publisher after publisher and agent after agent. But along came these highly plausible, smooth-talking, self-published writers who lured me down the “indie” route with their camaraderie and sharp jokes and promises of … well, I can’t quite remember what it was they promised me. Not success. Nor money. Nor fame. Maybe it was adventure. Or just a bit of a laugh. Anyway, soon after, I received a publishing contract from Cogwheel Press in Arkansas and my … er … indie adventure was underway. That first book is currently the only one available. It’s called: The Ultimate Inferior Beings. It is rather silly in a British kind of way. Some people like it, some people hate it. It tells of an inept space crew sent on a mission to solve a mystery (which they totally forget to do). Instead, they inadvertently destroy a neighbouring Universe. (Well, we all make mistakes). Currently I’m collaborating on a quite different story about an inept space crew sent on a mission, this time to colonize Mars. It’s a British endeavour, and hence doomed from the offset. Five years previously a group of robots have been send ahead to build a Mars base, but totally botched the job. When the colonists arrive they discover Mars already has life; hugely inconvenient for them and – quite possibly – a threat to life on Earth. I must confess that some of the scenes from the first book still make me smile when I think of them. The carpenter and the magnificent, hand-carved, mahogany dining-table. Ha, ha, ha. The slimy green blob with an inferiority complex. Ha, ha, ha. The Neutroencepheloholographic Institute. Ha, ha, ha. To my readers I’d like to say sorry for some of the lame jokes. To potential readers: sorry in advance. The question puts me in mind of those ‘tiger mums’ who relentlessly and mercilessly push their little darlings to succeed. I believe kids should learn to stand on their own two feet and be in fulltime employment by the age of 10. (Er, I’m kidding, kids). Same goes for the book. It’s out there, on its own, learning to fend for itself. I check up on it occasionally to see how it’s doing – a far cooler approach, methinks, than the constant pushing you get from some authors. The nicest part is the new friendships I’ve made with other indie writers: the support, the backing, the terrible jokes. And it’s also lovely when readers say nice things. One wrote to tell me he’d read the Index at the back of the book. (If this makes him sound like a nutter, he’s not; the Index is actually a puzzle and meant to be read). The downside is that international fame and fortune continue to elude me. OK, here goes: the hard sell. My book. It’s out there, somewhere, fending for itself. If you like the look of it, give it a nice home and I hope it’ll repay your kindness by providing you with a little enjoyment.